In October 2017, Manchester City manager Pep Guardiola labelled Tottenham Hotspur 'the Harry Kane team' while listing Manchester City's potential title rivals. It was an understandably easy to say that Tottenham are essentially 'Harry Kane's team'. He is the symbol of Mauricio Pochettino's Spurs side. He is the guy who scores the most goals. Oh, and he's also the England captain. However, in the midst of a ​Harry Kane's current injury woes, another player has quietly emerged as Tottenham's most important player. Spurs' recent form has re-instated the club within the Premier League title discussion, with the Lilywhites battling Pep Guardiola's ​City for second place, whilst also being not too far from league leaders ​Liverpool...without Harry Kane. So how can Tottenham continue to challenge without their star player? Well, it's because there's another player who Spurs fans can now make a legitimate case for as being their most valuable and important asset: ​Son Heung-min. A quick disclaimer: stating that Son is Tottenham's most important player is in no way a criticism of Harry Kane. If Kane was to leave Spurs, they would be worse off, as it is hard to see how they could realistically replace the England striker. Son played a huge part in this success, appearing in 47 games in all competitions and scoring 21 goals. Eight of Son's goals came in games that Harry Kane did not feature, showing that the 26-year-old was still able to contribute without the club's main forward. Kane's injury on this occasion has - unfortunately for Spurs - coincided with Son Heung-min's departure for the Asian Cup, which saw the South Korean miss both cup defeats, before returning to score important goals in Tottenham's league victories against ​Leicester City and ​Newcastle United. It was also noticeable that during the cup games and the last gasp​ Fulham victory, that Tottenham had gone somewhat off the boil, with the Lilywhites attempting to accommodate Llorente's inclusion in the lineup by lumping balls into the box. Son's return to the side has seen Mauricio Pochettino's typical style of football return, with Spurs winning both games with relative ease. Llorente being dropped for the Newcastle game is a symbol of Son Heung-min's importance to Maurico Pochettino's side. The 26-year-old's directness, versatility and clinical nature in front of goal makes him the perfect Poch player. The South Korean also only seems to only miss games due to international commitments. He rarely suffers with injuries and is capable of playing a key role within Kane's supporting cast, as well as stepping into centre stage to play the main role, and, with 21 goals in all competitions in the 2016/17 season, 18 in the 2017/18 campaign and 14 so far this campaign, Son is proving to be a consistent goalscorer in whichever role he plays. If displays without Son recently were anything to go by, Spurs are much worse team without Son than they are without Harry Kane. 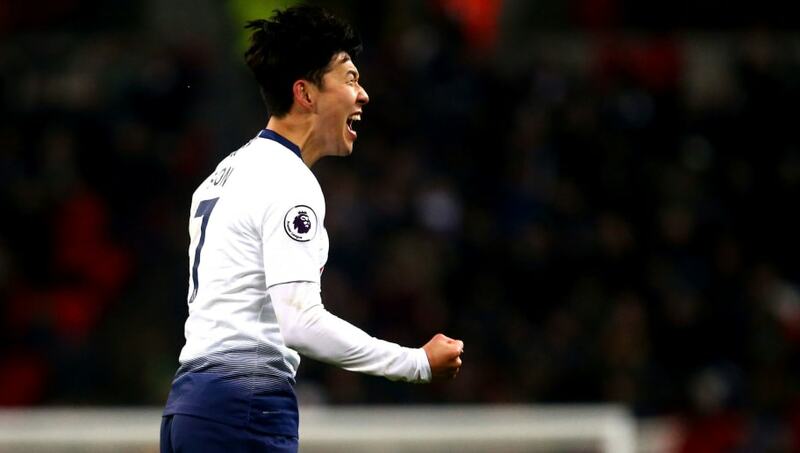 In the England forward's absence, Tottenham fans are finally getting a glimpse of just how important Son is to their side.